Banners are perfect for flexible and affordable marketing in any setting. Reusable and endurable, whether you need a lightweight roller banner for an exhibition, or a PVC banner for high impact, you’ll find just what you need. Weatherproof and vibrant, PVC banners are ideal for advertising on fencing, railings, or anywhere you can hang them! PVC banners come in a wide range of sizes, and have eyelets on a wide 50mm hem for durability and easy hanging – anywhere. 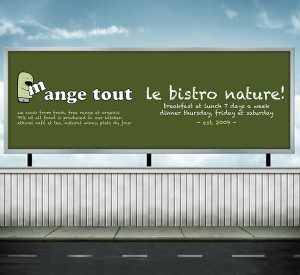 Directing traffic to your business, or promoting special offers, they are printed full colour at 720dpi onto heavy weight 440gsm all weather vinyl banner material (PVC) – making them suitable for use both indoors and outdoors. Printed on an environmentally friendly 300mic polypropylene in full colour, they come with graphic pre-fitted to the stand and a carry case as standard. 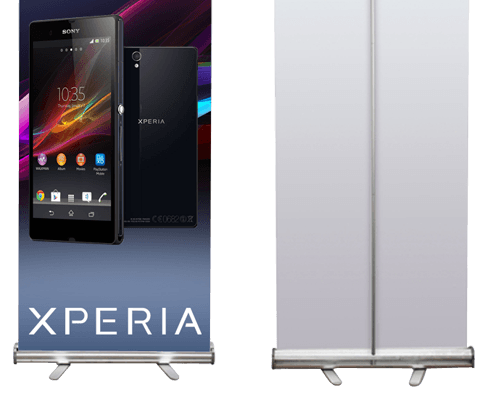 Roller Banners are great for point of sale promotions, pop-up events or for extra impact at exhibitions. 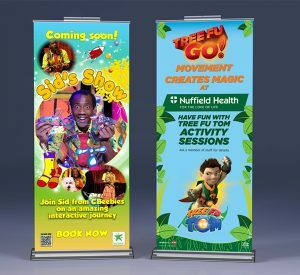 Made with durable anodised brushed aluminium, our banners are self-winding, making them ideal for exhibitions without taking an age to put up. Available in a range of sizes, these are perfect for indoor marketing at any event.